The movie is a tell-all with the perfect add-on of Hirani’s style of film-making. Allegedly convicted in TADA case, emerged out of the list of drugs, and having being slept with at least 350+ women, Sanju move is Sanjay Dutt’s side of storytelling. Sanju movie review will address the significant points of the film that tells about Dutt’s autobiography. 29th June 2018 was the day when Rajkumar Hirani’ Sanju got released, and India finally witnessed what Baba has to say. Honestly, people are listening to him. What was Sanju all about? Baba was a victim of Media. What happened in the final decision of TADA court and what was portrayed by the media? What was written in that letter which Baba wanted to give to Dutt Saab? How much Sanjay Dutt’s life was impacted by others or precisely by a drug-pedlar? The answer to all these questions is well-answered in the movie which we think would never have uncovered if the film hadn’t been made. Yes, Baba had a rough life, but there were things one can learn from his experience. How well Ranbir Kapoor aka Sanjay Baba was? Honestly, he was a ten on ten! Why? The man not just tried but picked the emotion of how Baba looked, said, and behaved emotionally during the late 90s and the early 2000’s. There are few instances in the movie where you would feel that had it been Sanjay Dutt, he would have given the same reaction or emotion which was presented by Ranbir Kapoor on screen. For instance, when Sanjay Dutt finally comes out of the Yervada Jail – That particular instance is worth-watching because not just Ranbir aka Sanju performed it with perfection, but also revealed the crux of what Baba has gone through. Overall, we leave things up to you and urge you to go and watch the movie because yes, the film indeed has a story which must be viewed. How well was Sanju Movie projected? This question not even qualifies the eligibility of credibility but then again it gives us the opportunity to praise the Rajkumar Hirani style of film-making in our sanju movie review. The 3-Idiots director has once again confirmed that he could do anything. Not just the timeline of the movie was well-versed and well-researched but also well-portrayed on the screen. The more exciting part to this is that Hirani was once talking to Manyta, Sanjay Dutt’s wife while he was in Yervada jail. Few of the incidents narrated by her intrigued Hirani, and he became adamant about knowing the whole story behind Sanju’s life and ended making his auto-biography. Apart from Ranbir Kapoor, Sanju movie had Paresh Rawal who played the role of Sanjay Dutt’s father, Sunil Dutt. He did it with perfection as well all know how good he is in acting. Further, we have Vicky Kaushal who wasn’t just a marvelous gem in the movie but the perfect epitome of a friend in need. What he performed is something we don’t want anyone else to do. Next comes, Manisha Koirala who played the role of Nargis ji. Although her role in the movie was entirely short, her on-screen acting was no less than method acting, and she did marked her presence. Apart from her, there were Anushka Sharma, Sonam Kapoor and Dia Mirza who were playing the role of a writer, Saju’s girlfriend and Sanju’s Wife, Manyata Dutt. All and all, everybody did pretty well under the Direction of Rajkumar Hirani. Did we learn anything from the Sanju movie Review? Not just we learn one thing but many. Although, the situation in which Sanjay Dutt was had the support of a dedicated father, power, and money, yet it took a hell of an effort by him and his family to come out. Apart from everything, the life of Sanjay Dutt is a clear picture of consequences one would have after doing what he did – drugs, womanizing and illegal possession of arms. We also learned that Sanju had a definite impact of immaturity in is life during his 20s, so we guess in some or the other way, we all have done stupid things in our life but the end game is to fight it and live through it like Sanjay Dutt, even though when he had an excellent support. What we missed in Sanju Movie? Even though the movie had every possible aspect of Sanju’s life, yet we missed few of the actor’s presence in the film. For example, we all know that how close Baba is with Salman Khan, yet he was not shown in the movie. Also, we failed to understand where the support of Bollywood was when Baba was going through all of this. Furthermore, any connection relating Sanju with big political names such as Bal Thackrey wasn’t shown. Somehow, the movie seems to be a way where Sanjay Dutt is trying to say that he was almost victimized for his entire life yet we know that he had to suffer for his actions. But it’s okay because everyone gets to tell their side. 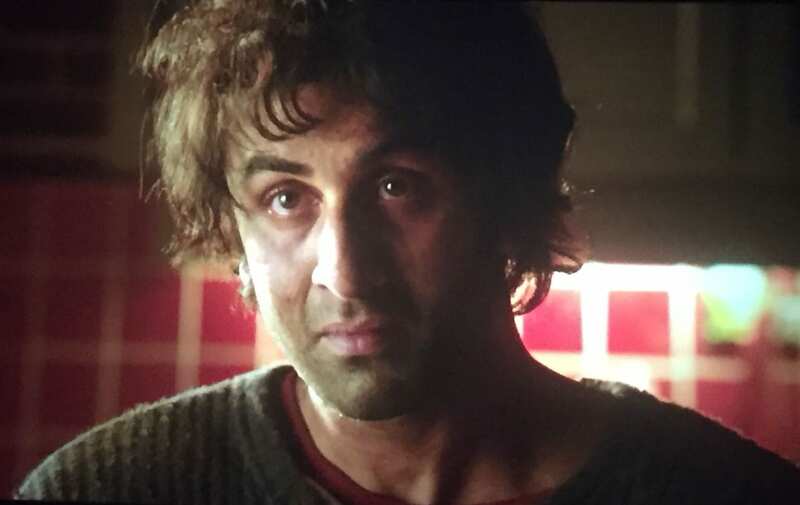 Ergo, it can be concluded in our Sanju Movie review that it is a tell-all with the perfect add-on of Hirani’s style of film-making.